I am really pleased to be able to welcome you to our friendly Primary School, which offers education to children from 3-11 years old. St Andrew’s school is nestled behind the Royal Crescent in the world heritage city of Bath, close to Victoria Park and we enjoy many of the benefits of these impressive and beautiful surroundings. At St Andrew’s, we are committed to providing a creative and enjoyable approach to learning. The Creative Curriculum we offer is supported by a series of exciting partnerships and collaborations. 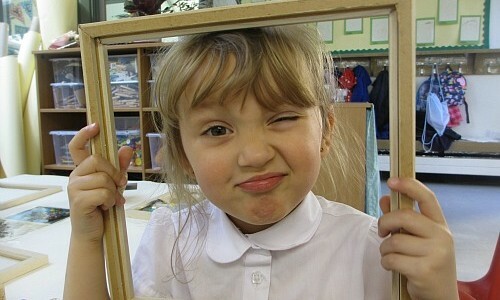 One of these, School Without Walls is a groundbreaking learning programme for primary schools. We were one of the first schools outside of London to adopt it. You can discover more about this and other aspects of our curriculum on the website! We are a fully inclusive school where every child is valued and given the opportunity to achieve their potential and celebrate personal successes. We are a church school and we welcome children and their families from any faith background and none. Our school motto “Learning for Living, Life in All Its Fullness” wonderfully describes the caring environment in which our children learn, play and make friends. You can view our full Mission Statement here. Making a decision about which school is right for your child can be difficult, but we know that our school and the learning opportunities we provide can ensure your child has a happy, fulfilling and rewarding primary education. I encourage you to explore this website, which will give you a good idea about who we are, what goes on at our school and what both the children and parents think of life at St Andrew’s. However, the best way to find out about our school is to come and see for yourself! Visitors are always welcome and we’d be pleased to show you around and let you experience first-hand what makes our school so vibrant and special.